The Ohio teenager who made headlines for getting vaccinated against his mother’s wishes told the Senate on Tuesday that spreading vaccine misinformation is dangerous — but urged the public not to vilify those who do so. “Approaching this issue with the concern of education and addressing misinformation properly can cause change, as it did for me,” 18-year-old Ethan Lindenberger said while testifying before the Senate Health, Education, Labor and Pensions Committee on Tuesday. “Although the debate around vaccines is not necessarily centered around information, and concerns for health and safety, this is why education is so important, and also why misinformation is so dangerous.” Lindenberger, who said his mother is an anti-vaccine advocate who adheres to the widely discredited idea that vaccines cause autism and brain damage, was not immunized against diseases including measles, chicken pox and polio until December of last year, after turning 18 and seeking care of his own accord. Lindenberger’s story has attracted widespread attention as the resurgence of preventable illnesses like measles brings the dangers of vaccine avoidance into clear focus. Is Your Child Safe From Antivaccine Activists? Measles, all but eradicated by 2000, threatens a comeback. Today’s parents worry constantly about the kids: What are they doing, seeing, saying, eating? Is that shampoo safe? Are they watching too much television? 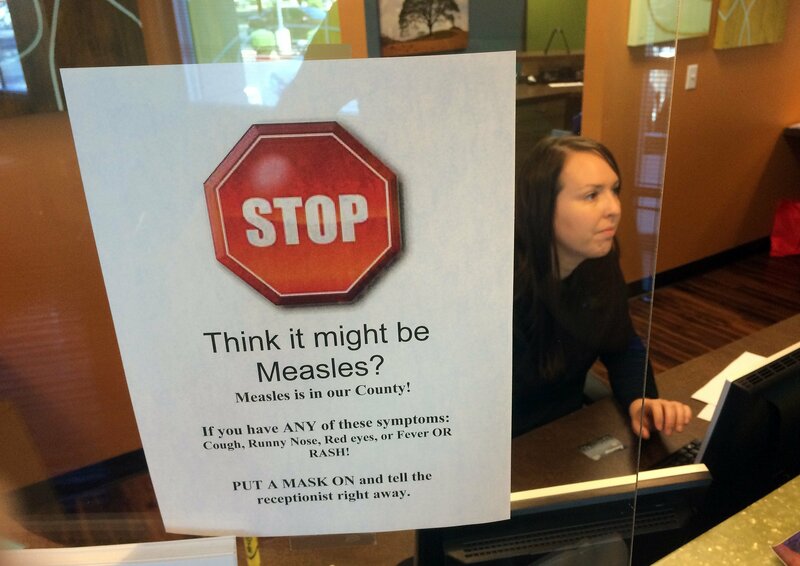 Thanks to antivaccine campaigners, add measles to the list. In 2000, doctors were celebrating that measles essentially had been eradicated in the U.S. Even people who could not safely receive the vaccine, such as newborns, were protected by what’s known as “herd immunity.” When a large portion of a population is immunized, there are few potential carriers to spread the disease, which shields everyone. But a study published last week in JAMA Pediatrics shows how quickly herd immunity can break. The researchers estimated that a 5% reduction in measles vaccination in the U.S. could triple the number of cases annually among children 2 to 11. “The numbers would be substantially higher,” they write, “if unvaccinated infants, adolescents, and adult populations were also considered.” This is alarming when you consider how many parents are now skipping their children’s vaccines. Between 2009 and 2013, nonmedical exemptions for school immunizations increased by 19%, according to a 2014 study in the American Journal of Public Health. The exemption rate for kindergartners in Oregon was 6.4%; in Vermont, 5.7%; in Wisconsin, 5.4%. Parents who cite religious, philosophical or personal objections to vaccination are like conscientious objectors in the war on disease. But they are putting their friends and neighbors at risk because they have fallen for antivaccine propaganda.